It's a shame that it took us 17 years to put the "Mozart makes you smart" meme to rest. I wonder how much money in research grants was wasted over the years (40 studies!) on the question. So, a big thanks to Pietschnig, Voracek, and Formann for debunking the Mozart-effect theory. I predict that the theory will -unfortunately- survive in popular culture, for a long time to come; but if it leads to people learning to enjoy good music, it might be worth it. The transient enhancement of performance on spatial tasks in standardized tests after exposure to the first movement “allegro con spirito” of the Mozart sonata for two pianos in D major (KV 448) is referred to as the Mozart effect since its first observation by Rauscher, Shaw, and Ky (1993). These findings turned out to be amazingly hard to replicate, thus leading to an abundance of conflicting results. Sixteen years after initial publication we conduct the so far largest, most comprehensive, and up-to-date meta-analysis (nearly 40 studies, over 3000 subjects), including a diversity of unpublished research papers to finally clarify the scientific record about whether or not a specific Mozart effect exists. We could show that the overall estimated effect is small in size (d = 0.37, 95% CI [0.23, 0.52]) for samples exposed to the Mozart sonata KV 448 and samples that had been exposed to a non-musical stimulus or no stimulus at all preceding spatial task performance. Additionally, calculation of effect sizes for samples exposed to any other musical stimulus and samples exposed to a non-musical stimulus or no stimulus at all yielded effects similar in strength (d = 0.38, 95% CI [0.13, 0.63]), whereas there was a negligible effect between the two music conditions (d = 0.15, 95% CI [0.02, 0.28]). Furthermore, formal tests yielded evidence for confounding publication bias, requiring downward correction of effects. The central finding of the present paper however, is certainly the noticeably higher overall effect in studies performed by Rauscher and colleagues than in studies performed by other researchers, indicating systematically moderating effects of lab affiliation. On the whole, there is little evidence left for a specific, performance-enhancing Mozart effect. We present a comprehensive analysis of allele/haplotype frequencies from five functional SNPs (rs1805005, rs2228479, rs1805007, rs1805008, and rs885479) in MC1R throughout Eurasia, including from 12,151 individuals from 141 regional populations, focussing on novel genotype data from 38 Central Asian populations. The structure and diversity of the Bulgarian mitochondrial DNA (mtDNA) gene pool is still almost unknown. In the present study, we have evaluated the extent and nature of mtDNA variation in the largest Bulgarian sample to date, comprising 855 healthy unrelated subjects from across the country. The present report is based on the study of mtDNA variation in Ulchi (n=74), a Tungusic-speaking tribe of hunters and fishermen dispersed along the lakes and reaches of the Lower Amur. MtDNA analysis revealed 39 distinct mtDNA haplotypes belonging to 21 Eurasian haplogroups C2-C3, D3-D8, D11, G1-G2, M7-M9, Z, B, F, N9, Y and U4, with overall N macrohaplogroup derivatives frequency 53%, M - 43%, and R - 4%. We have analyzed 52 markers in coding region of the mtDNA and 48 markers in the non-recombining part of the Y-chromosome in 592 individuals representing five populations from western Caucasus (Abkhazians, Adyghes, Abazins, Georgians, and Circassians). Y-chromosome haplogroups G-M201 and J2 (J-M172) account for more than 50% of all haplogroup diversity in the studied populations. Haplogroup G-M201 in the Western Caucasus populations is represented only by subclade G2a (G-P15) with the insignificantly low exception in the Adyghe population where G1a (G-P20) amounts to less than 1%. In contrast to high frequency of J2 haplogroup J1 exhibit moderate occurrence and vary from 2 to 6 %. Haplogroup R1a (R-SRY10831.2) is also present in all studied populations. The Egyin Gol necropolis is located in the Egyin Gol Valley (northern Mongolia), near the Egyin Gol River, close to its confluence with the Selenge, a main tributary of Lake Baikal (see Fig. 1). This site has been the subject of a French-Mongolian interdisciplinary research project from 1997 to 1999, which allowed the excavation of 84 graves containing skeletal remains of 99 individuals buried from the third century B.C. to the second century A.D. The graves were organized in three main sectors (A, B, and C) that, based on AMS carbon-14 dating of human bones, progressively expanded from south to north (i.e., Sector A is the oldest followed by Sector B and Sector C). The development of Sector C corresponds to the end of the necropolis and may reflect a Turkish influence on the Xiongnu tribe (Keyser-Tracqui et al., 2003). data (Table 4), and confirmed by the genetic data. This might be explained on the basis that these individuals are suggested to be of Turkish origin, based on their shared single paternal lineage, unique in the necropolis and affiliated with Turkish populations (Keyser-Tracqui et al., 2003). However, the sector C individuals share the same maternal lineages with individuals buried in sectors A and B, which could explain the global homogeneity of the population as a whole. The particular characteristics of the sample from sector C suggests a possible shift in the population demographics, caused by the emergence of a Turkish component in the Xiongnu population at the end of the necropolis use and at the end of the first steppe empire led by the Xiongnu. The fact that this particular subgroup of the population buried in sector C was detected by nonmetric traits analysis demonstrated that nonmetric traits are an efficient tool when analyzing population microevolution. The Y chromosome results are found in Table 2 of the original paper. I ran the Y-STR profile of the shared patrilineage over the haplogroup predictor, but I don't get a clear estimate for the Y-STR profile (grave 46 in Table 2). The high frequency in Kazakhs and Yakuts, with a little spillover in both China and eastern Europe is certainly consistent with a Turkic origin of this haplotype. Finally, I gave it a try at ysearch, getting a match with a Pole and a 1-step match with a Czech, both of which are listed as C3-tested. So, there you have it, archaeology, non-metric data, Y-chromosomes, and a little use of online tools gives us a first glimpse on what may have been a group of ancient Turkic individuals. Of course here are theories-a-plenty about what language the Xiongnu originally spoke, so it would be premature to arrive at any firm conclusions. 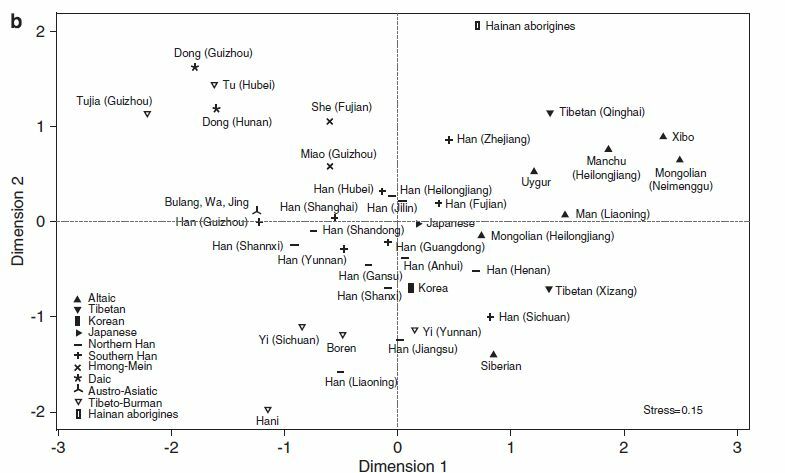 Interestingly, C3 is also present in a different 2,000-year old Xiongnu individual from NE Mongolia from the Duurlig Nars site, but an earlier group of Xiongnu-related individuals from China (Pengyang) belonged to haplogroup Q.
Osseous and dental nonmetric (discrete) traits have long been used to assess population variability and affinity in anthropological and archaeological contexts. However, the full extent to which nonmetric traits can reliably be used as a proxy for genetic data when assessing close or familial relationships is currently poorly understood. This study represents the unique opportunity to directly compare genetic and nonmetric data for the same individuals excavated from the Egyin Gol necropolis, Mongolia. These data were analyzed to consider the general efficacy of nonmetric traits for detecting familial groupings in the absence of available genetic data. The results showed that the Egyin Gol population is quite homogenous both metrically and genetically confirming a previous suggestion that the same people occupied the necropolis throughout the five centuries of its existence. Kinship analysis detected the presence of potential family burials in the necropolis. Moreover, individuals buried in one sector of the necropolis were differentiated from other sectors on the basis of nonmetric data. This separation is likely due to an outside Turkish influence in the paternal line, as indicated by the results of Y-chromosome analysis. Affinity matrices based on nonmetric and genetic data were correlated demonstrating the potential of nonmetric traits for detecting relationships in the absence of genetic data. However, the strengths of the correlations were relatively low, cautioning against the use of nonmetric traits when the resolution of the familial relationships is low. Am J Phys Anthropol 2010. © 2010 Wiley-Liss, Inc. The paper also has quite extensive supplementary material. 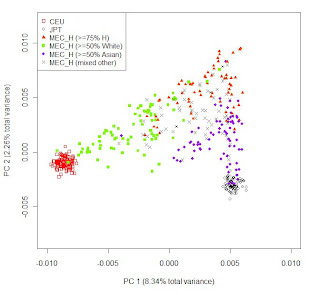 On the left, part of Figure S6: Clustering of the MEC Hawaiians (MEC_H) using the top 2 PCs from PCA on the HapMap European and East Asian samples plus MEC_H using 2509 SNPs. As you can see Hawaiians can be viewed as having triple ancestry from Europeans, East Asians, and a third population, representing the natives prior to European American and Japanese immigration to the islands of Hawaii. 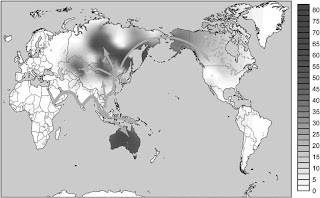 The above (from Figure S2) depicts Japanese Americans on the PC axes determined by all populations. Outliers deviate towards Europeans. In some cases this makes sense, as the individuals report a White parent (1J 1W plus unlabeled dots), but there are a couple dots reporting two Japanese parents that still deviate towards Whites. Assuming no clerical error, this is probably a case of cryptic White ancestry, or, alternatively, a case of of two parents who considered themselves Japanese even though at least one of them had substantial Caucasoid ancestry. On the flip side, here is the PCA map of White outliers. Once again, we see a main pink cluster dominated by persons reporting 100% W ancestry, with deviations in two directions: top-right, towards East Asians, and top-left, towards Sub-Saharan Africans. 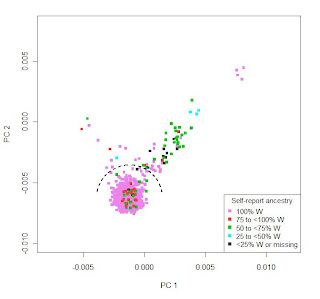 There are clear cases where self-reported ancestry does not match reality, e.g., (i) the group of 4 pink dots on the top right showing clear evidence of East Asian admixture despite reporting 100% W ancestry, or (ii) a set of non-pink dots right in the middle of the pink cluster, which appear (at least in the first two PCs) to be indistinguishable from other Whites, but report mixed ancestry. It is well-known that population substructure may lead to confounding in case–control association studies. Here, we examined genetic structure in a large racially and ethnically diverse sample consisting of five ethnic groups of the Multiethnic Cohort study (African Americans, Japanese Americans, Latinos, European Americans and Native Hawaiians) using 2,509 SNPs distributed across the genome. 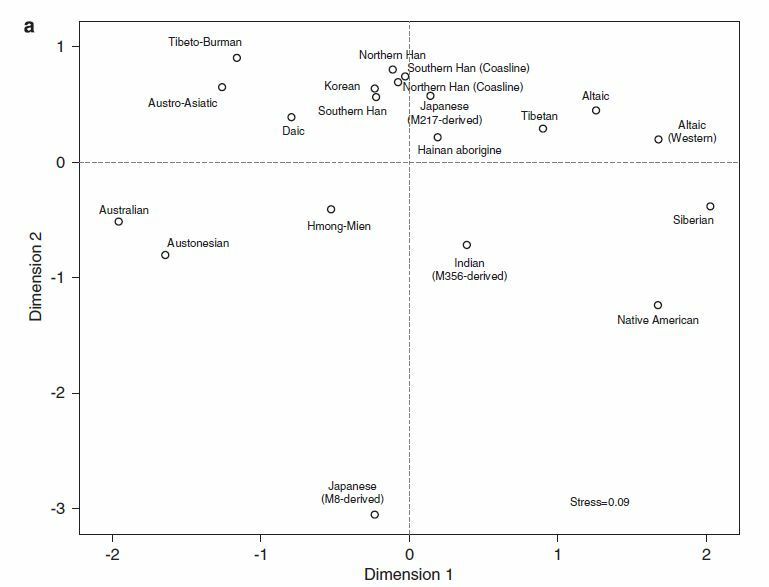 Principal component analysis on 6,213 study participants, 18 Native Americans and 11 HapMap III populations revealed four important principal components (PCs): the first two separated Asians, Europeans and Africans, and the third and fourth corresponded to Native American and Native Hawaiian (Polynesian) ancestry, respectively. Individual ethnic composition derived from self-reported parental information matched well to genetic ancestry for Japanese and European Americans. STRUCTURE-estimated individual ancestral proportions for African Americans and Latinos are consistent with previous reports. We quantified the East Asian (mean 27%), European (mean 27%) and Polynesian (mean 46%) ancestral proportions for the first time, to our knowledge, for Native Hawaiians. Simulations based on realistic settings of case–control studies nested in the Multiethnic Cohort found that the effect of population stratification was modest and readily corrected by adjusting for race/ethnicity or by adjusting for top PCs derived from all SNPs or from ancestry informative markers; the power of these approaches was similar when averaged across causal variants simulated based on allele frequencies of the 2,509 genotyped markers. The bias may be large in case-only analysis of gene by gene interactions but it can be corrected by top PCs derived from all SNPs. It is postulated that chickens (Gallus gallus domesticus) became domesticated from wild junglefowls in Southeast Asia nearly 10,000 years ago. Based on 19 individual samples covering various chicken breeds, red junglefowl (G. g. gallus), and green junglefowl (G. varius), we address the origin of domestic chickens, the relative roles of ancestral polymorphisms and introgression, and the effects of artificial selection on the domestic chicken genome. DNA sequences from 30 introns at 25 nuclear loci are determined for both diploid chromosomes from a majority of samples. The phylogenetic analysis shows that the DNA sequences of chickens, red and green junglefowls formed reciprocally monophyletic clusters. The Markov chain Monte Carlo simulation further reveals that domestic chickens diverged from red junglefowl 58,000±16,000 years ago, well before the archeological dating of domestication, and that their common ancestor in turn diverged from green junglefowl 3.6 million years ago. Several shared haplotypes nonetheless found between green junglefowl and chickens are attributed to recent unidirectional introgression of chickens into green junglefowl. Shared haplotypes are more frequently found between red junglefowl and chickens, which are attributed to both introgression and ancestral polymorphisms. Within each chicken breed, there is an excess of homozygosity, but there is no significant reduction in the nucleotide diversity. Phenotypic modifications of chicken breeds as a result of artificial selection appear to stem from ancestral polymorphisms at a limited number of genetic loci. This paper presents new evidence, together with previous findings, for the appearance of charred seeds of Lathyrus sativus (grass pea)/L. cicera. This grain legume was a food staple in ancient times, principally in the Aegean region, but also appeared sporadically and in a limited way in the archaeological record of the southern Levant. It is encountered there first in the Late Bronze Age but disappears in the record at the end of the Iron Age. Although a palatable, nutritious plant adapted for growing under adverse conditions, its seeds can be toxic when consumed in large quantities. Apparently L. sativus/cicera made its way to the lowlands of the southern Levant, either by trade or with Philistine immigrants. It is absent at other south Levantine Bronze Age (i.e., Canaanite) and Iron Age sites and it remained a food component in the southern coastal region (i.e., Philistia, the region associated with the biblical Philistines) up to the end of Iron Age II, suggesting a possible ethnic association. Evidence of L. sativus/cicera joins that of another Aegean archaeobotanical import from an earlier, Middle Bronze Age II context, L. clymenum, found at Tel Nami, a coastal site farther to the north of the region. Mitochondrial DNA polymorphisms in Gelao ethnic group residing in Southwest China. Liu C, Wang SY, Zhao M, Xu ZY, Hu YH, Chen F, Zhang RZ, Gao GF, Yu YS, Kong QP. 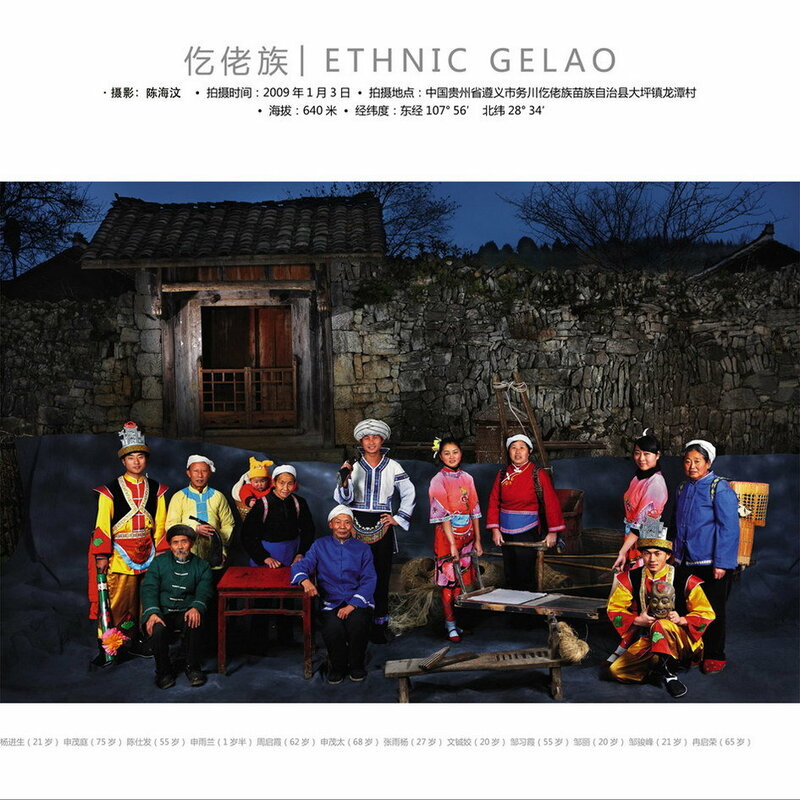 Gelao ethnic group, an aboriginal population residing in southwest China, has undergone a long and complex evolutionary process. To investigate the genetic structure of this ancient ethnic group, mitochondrial DNA (mtDNA) polymorphisms of 102 Gelao individuals were collected and analyzed in this study. With the aid of the information extracted from control-region hypervariable segments (HVSs) I and II as well as some necessary coding-region segments, phylogenetic status of all mtDNAs under study were determined by means of classifying into various defined haplogroups. The southern-prevalent haplogroups B, R9, and M7 account for 45.1% of the gene pool, whereas northern-prevalent haplogroups A, D, G, N9, and M8 consist of 39.2%. Haplogroup distribution indicates that the Gelao bears signatures of southern populations and possesses some regional characters. In the PC map, Gelao clusters together with populations with Bai-Yue tribe origin as well as the local Han and the Miao. The results demonstrate the complexity of Gelao population and the data can well supplement the China mtDNA database. 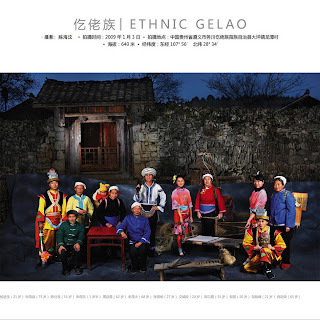 Related: Portraits of ethnic groups of China including a portrait of Gelao, the mainland relatives of the Gelong and Li who are an indigenous group of Hainan. Note that Hlai is the Li's own self-appellation. Wikipedia article on Kadai (Daic) languages. Note that haplogroup O1 has been linked to Daic languages, which would agree with the results on the Gelong people. Tai-Kadai people form their own autosomal cluster, demonstrated their common genetic origins. 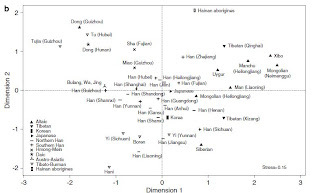 Genetic origin of Kadai-speaking Gelong people on Hainan island viewed from Y chromosomes. Li D, Sun Y, Lu Y, Mustavich LF, Ou C, Zhou Z, Li S, Jin L, Li H.
The government of China defined 56 official ethnicities for the ethnic groups in China for political purposes; however, there are many more than 56 ethnic groups. Therefore, similar groups must be pooled for registry, and the so-called ethnicity identification is an important official mission in China. Here, we showed how genetics can help in the ethnicity identification for the Gelong people on Hainan Island. The Gelong speak a Kadai language whose other speakers (officially of the Gelao ethnicity) are all far in the southwest of China. 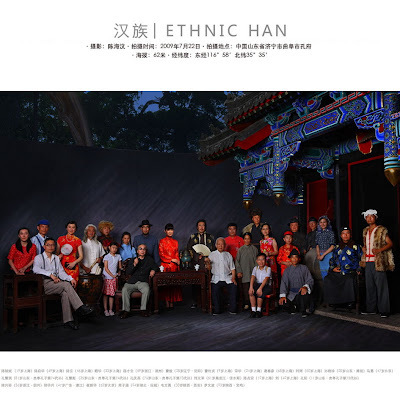 Being registered as a Han ethnicity, the Gelong lost all the benefits assigned to the minorities. Y-chromosome typing was performed in a sample of 78 individuals. Twenty single nucleotide polymorphisms (SNPs) and seven short tandem repeats (STRs) were typed and eight haplogroups were detected, among which haplogroup O1a(*) was the most dominant. 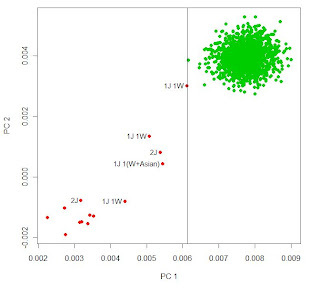 Compared with the Y haplogroups of the populations in south China, the Gelong were found to be closest to the Gelao and the Hlai using principal components (PCs) analysis, dendrogram clustering and STR networks. The genetic similarity between the Gelong and the Hlai may have resulted from the gene flow during thousands of years of neighboring history on Hainan Island, whereas the similarity between the Gelong and the Gelao may have resulted from their common ancestry because there is less possibility of gene flow over such a far distance. As both linguistic and genetic evidence support the similarity between the Gelong and the Gelao, we suggest that the Gelong register as Gelao for their official ethnicity. However, this identification is invalid until it is accepted by the Gelong people themselves and the Hainan government. 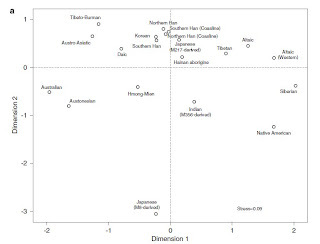 Figure 1 (on the left) Modelled “suitability” (probability of occurrence, Maxent) for (A) agriculture, (B) sedentary animal husbandry, (C) nomadic pastoralism, and (D) hunting and gathering. Our simplistic exercise showed that a “geo-deterministic” approach can predict surprisingly many features of human cultural geography without any explicit cultural or historical assumptions. Although many deviations require further factors for a satisfying explanation, the nature of these deviations invite the generation of hypotheses for further research. Our ‘null model’ offers a highly parsimonious, empirically supported explanation to the question of why some regions are more “powerful” than others, supplementing the idea of a historical effect operating through the timing of transition to agriculture . In some instances, our model may actually provide a simpler explanation. Putterman , for example, suggested that the dominance of Western European cultures indicates the transmission of “civilization” traits (other than knowledge on agriculture) from regions of first domestication. Our data indicate that higher climatic suitability may have been sufficient for Europe to “catch up”, allowing for much higher population densities than, e.g., the “fertile crescent” region. Models of “suitability” under past climatic scenarios may be helpful to evaluate this. Similarly, models applied to predicted future climatic scenarios may be useful to anticipate changes of the economic suitability of landuse types. However, our model has clear deviations in some regions that may well be explicable by the availability of animals and plants suitable for domestication (e.g., central Africa). Apart from that, and more importantly, we know that human societies and economies went through historical development, so ignoring history may not always be the best strategy to understand causalities. This problem occurs also with other research questions in biogeography, e.g. when investigating global biodiversity patterns –. Nevertheless, our ‘null model’ will be a useful tool in identifying regions that require further investigation to understand additional processes that shape the distribution and performance of human economic traits. I really like this type of paper that looks at a simple explanation for a phenomenon, in this case, economic output as a product of soil/climate quality and suitability. As the authors point out, their "null" model has its limitations, and it is precisely in regions of the world where its predictions do not match the observations, that we should look for additional factors (besides soil and climate) to explain economic traits. Related: Soil and Greek temples. Is the Spatial Distribution of Mankind's Most Basic Economic Traits Determined by Climate and Soil Alone? Several authors, most prominently Jared Diamond (1997, Guns, Germs and Steel), have investigated biogeographic determinants of human history and civilization. The timing of the transition to an agricultural lifestyle, associated with steep population growth and consequent societal change, has been suggested to be affected by the availability of suitable organisms for domestication. These factors were shown to quantitatively explain some of the current global inequalities of economy and political power. Here, we advance this approach one step further by looking at climate and soil as sole determining factors. As a simplistic ‘null model’, we assume that only climate and soil conditions affect the suitability of four basic landuse types – agriculture, sedentary animal husbandry, nomadic pastoralism and hunting-and-gathering. 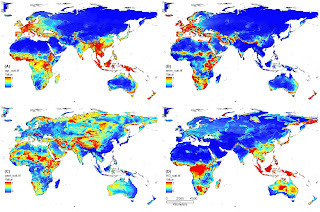 Using ecological niche modelling (ENM), we derive spatial predictions of the suitability for these four landuse traits and apply these to the Old World and Australia. We explore two aspects of the properties of these predictions, conflict potential and population density. In a calculation of overlap of landuse suitability, we map regions of potential conflict between landuse types. Results are congruent with a number of real, present or historical, regions of conflict between ethnic groups associated with different landuse traditions. Furthermore, we found that our model of agricultural suitability explains a considerable portion of population density variability. We mapped residuals from this correlation, finding geographically highly structured deviations that invite further investigation. We also found that ENM of agricultural suitability correlates with a metric of local wealth generation (Gross Domestic Product, Purchasing Power Parity). From simplified assumptions on the links between climate, soil and landuse we are able to provide good predictions on complex features of human geography. The spatial distribution of deviations from ENM predictions identifies those regions requiring further investigation of potential explanations. Our findings and methodological approaches may be of applied interest, e.g., in the context of climate change. Evans et al. had previously proposed that the derived MCPH1 allele had entered the modern human gene pool by Neandertals. This paper tests this by looking at a 50,000 year BP Neandertal, finding them to have the ancestral allele, thus weakening the case for introgression. Evans and colleagues proposed that haplogroup D originated from a lineage separated from modern humans for 1.1 million years and introgressed into the human gene pool by 37,000 years ago, probably from a Neanderthal stock . This is a great paper in view of the recent controversy about modern human-Neandertal admixture. I have been on the skeptic camp, and this certainly strengthens my African structure thesis. There is a broad agreement that the contribution of archaic Homo populations to the modern gene pool, if any, must have been very limited , . Different lines of evidence concur to suggest that the dispersal of anatomically modern humans from Africa was accompanied by repeated founder effects –. If these founder effects were drastic, most or all gene genealogies should actually be shallow, and hence the occurrence of ancient splits would imply some degree of introgression from archaic human forms. However, different consequences would be expected if only mild founder effects occurred when anatomically modern humans moved out of Africa. Under these conditions, gene trees would have a strong random component, and a certain fraction thereof, even in the absence of selection, would show two highly divergent major lineages . The likelihood of finding gene genealogies with a very old common ancestor and very differentiated lineages would be even higher if the source African population was subdivided and structured genetically before dispersal, which is what most studies clearly suggest –. These theoretical considerations are actually matched by consistent results in simulation studies , ,  and by variation in neurocranial geometry, suggesting significant levels of geographic structure among early modern humans from Africa . One more piece of evidence in favor of the idea that seemingly archaic DNA in modern Eurasians is not due to the more fashionable "Neandertal introgression" but to ancient African population structure. A very limited number of markers, but a relatively wide assortment of populations. The Mediterranean has a long history of interactions among different peoples. In this study, we investigate the genetic relationships among thirteen population samples from the broader Mediterranean region together with three other groups from the Ivory Coast and Bolivia with a particular focus on the genetic structure between North Africa and South Europe. Analyses were carried out on a diverse set of neutral and functional polymorphisms located in and around the coagulation factor VII and XII genomic regions (F7 and F12). 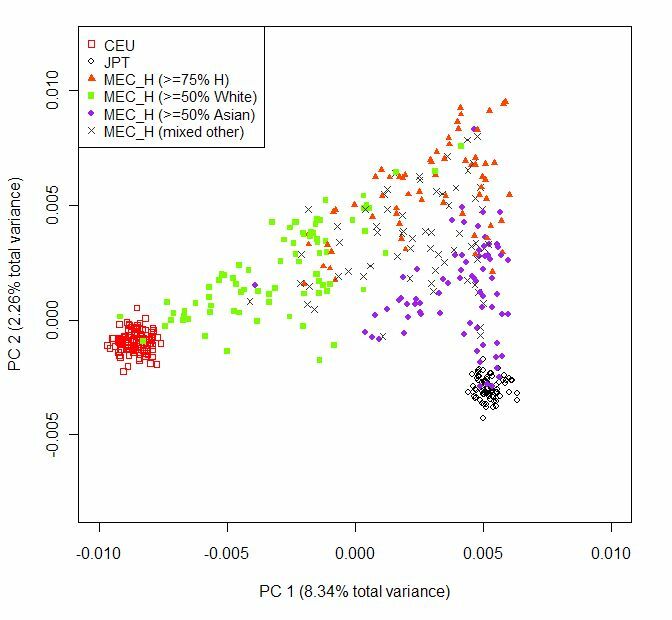 Principal component analysis revealed a significant clustering of the Mediterranean samples into North African and South European groups consistent with the results from the hierarchical AMOVA, which showed a low but significant differentiation between groups from the two shores. For the same range of geographic distances, populations from each side of the Mediterranean were found to differ genetically more than populations within the same side. To further investigate this differentiation, we carried out haplotype analyses, which provided partial evidence that sub-Saharan gene flow was higher towards North Africa than South Europe. As there is no consensus between the two genomic regions regarding gene flow through the Sahara, it is hard to reach a solid conclusion about its role in the differentiation between the two Mediterranean shores and more data are necessary to reach a definite conclusion. However our data suggest that the Mediterranean Sea was at least partially a barrier to gene flow between the two shores. 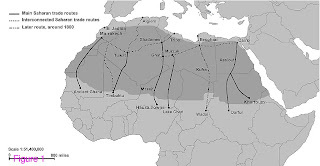 The main trans-Saharan slave routes are shown in Figure 1 (on the left). The paper also contains quite useful interpolation maps of the main Sub-Saharan African mtDNA haplogroups, who should be useful for future reference. A proportion of 1/4 to 1/2 of North African female pool is made of typical sub-Saharan lineages, in higher frequencies as geographic proximity to sub-Saharan Africa increases. The Sahara was a strong geographical barrier against gene flow, at least since 5,000 years ago, when desertification affected a larger region, but the Arab trans-Saharan slave trade could have facilitate enormously this migration of lineages. Till now, the genetic consequences of these forced trans-Saharan movements of people have not been ascertained. The distribution of the main L haplogroups in North Africa clearly reflects the known trans-Saharan slave routes: West is dominated by L1b, L2b, L2c, L2d, L3b and L3d; the Center by L3e and some L3f and L3w; the East by L0a, L3h, L3i, L3x and, in common with the Center, L3f and L3w; while, L2a is almost everywhere. 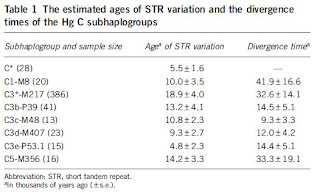 Ages for the haplogroups observed in both sides of the Saharan desert testify the recent origin (holocenic) of these haplogroups in sub-Saharan Africa, claiming a recent introduction in North Africa, further strengthened by the no detection of local expansions. The interpolation analyses and complete sequencing of present mtDNA sub-Saharan lineages observed in North Africa support the genetic impact of recent trans-Saharan migrations, namely the slave trade initiated by the Arab conquest of North Africa in the seventh century. Sub-Saharan people did not leave traces in the North African maternal gene pool for the time of its settlement, some 40,000 years ago. A very interesting abstract from the HAPLOID DNA MARKERS IN FORENSIC GENETICS workshop that took place in April. I will scour the abstract volume (pdf) for other interesting pieces of research, but I wanted to give an early heads-up on this abstract, given the recent interest on this haplogroup, and the controversy regarding its origin. It is also exciting to see the issue of the mutation rate finally addressed, I hope the authors take my side on the debate. We'll have to wait and see what the authors propose when their paper is actually published, but I am guessing that my post on Haplotype outliers and Y-chromosome age estimation will be vindicated. 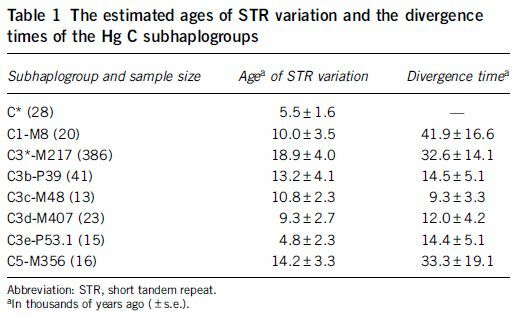 Therein, I argued that Y-STR age estimation sometimes leads to young ages if "relics of a bygone age" are not identified, and the age estimation is dominated by the dominant (and more recent) expansion. As far as I can intuit from the abstract, the authors seem to propose such a model, in which an expanding Neolithic R-M269 population interacted with pre-existing European R-M269. Let's hope the details surface soon. Early studies on classical polymorphisms have largely been vindicated by the growing tome of information on the genetic structure of European populations, with mtDNA, Y-Chromosome and autosomal markers all combining to give a fundamental pattern of migration from the East. The processes behind this pattern are however, less clear, particularly with regard to uniparental markers. Much debate still rages about how best to use Y and mtDNA to date particular historical movements, or indeed if it is appropriate at all. For example, whilst some progress has been made recently in calibrating the mtDNA clock, the selection of a mutation rate with which to date the Y-Chromosome is contentious, as the two most favoured values can give dates that differ by a factor of three. In order to address this we have investigated the sub-lineages of the common European haplogroup R1b-M269. This haplogroup has been shown to be clinal in Europe, and more recently has been posited to be the result of the Neolithic expansion from the Near East. Here, we use newly characterised SNPs downstream of M269 to produce a refined picture of the haplogroup in Europe, and further show that the diversity of this lineage cannot be entirely attributed to Neolithic migration out of Anatolia. We use simple coalescent simulations to estimate an absolute lower bound for the age of the sub-haplogoups. Rather than originating with the farmers from the East, we suggest that the sub-structure of R1b-M269 visible in Europe today, and thus the great majority of European paternal ancestry, is the result of the interaction between the Neolithic wave of expansion and populations of early Europeans already present in the path of the wave. I was wary of this paper's conclusion as soon as I realized that the authors contended that Europeans and East Asians did not differ significantly in their levels of Neanderthal admixture. You see, Neandertals were absent from East Asia, so there is no reason for East Asians to have such admixture at all, or to have much less of it than West Eurasians do. Even if we assumed that undifferentiated Eurasians picked up Neandertal admixture in West Asia, the fact would remain that Europeans co-existed with Neandertals after the ancestors of East Asians had moved on towards the Pacific. So, they ought to have more Neandertal admixture -if such admixture ever took place. Indeed, one of the main arguments for introgression of Neandertal genes in modern humans is the long co-existence of modern humans with Neandertals in Europe. It could be argued that Neandertal admixture was indeed higher in West Eurasians initially, but the difference was evened out by gene flow across Eurasia. This, however, makes no sense, as the history of Eurasians post-Out of Africa was one of genetic differentiation, which suggests barriers to gene flow, and it would be difficult to imagine a scenario in which the Neandertal component would even out in Eurasia across populations from the Atlantic to the Pacific. We should also note that the present paper's line of genetic evidence is not really complementary to the palaeoanthropological argument for admixture, as that argument is based on observing phenotypic continuities between Neandertals and modern Caucasoids that could not (according to the argument's proponents) be explained by the simple Out of Africa model and/or observing phenotypic traits of Upper Paleolithic Europeans that seem to be shared with Neandertals but not with UP sapiens outside Europe. In short: those who use skulls to argue Neandertal introgression predict that Europeans should be somehow closer to Neandertals than East Asians are, but this paper fails to find evidence of this. The authors do make an important observation: Neandertal genomes were closer to those of modern Eurasians than to modern Africans. This is an important finding that is incompatible with pure Out-of-Africa. But, Neandertal admixture is not the only way to explain the data. There is an alternative explanation. It involves the emergence of Homo sapiens and Homo neanderthalensis from a common ancestor and the subsequent admixture of Homo sapiens with populations that have branched out before this divergence. This would account for increased similarity between Eurasians and Neandertals, but without the problem of explaining how "Neandertal" ancestry is so similar in Europeans and East Asians. What about Africans? Why do they stand further away from Neandertals? The answer is simple: low-level of admixture with archaic humans in Africa itself. It is fairly clear to me that the sapiens line whose earliest examples are in East/South Africa must have been an offshoot of an older African set of populations. We are lucky that Neandertals lived in a climate conducive to bone (or even DNA) preservation, while the African populations inhabiting the tropics left no traces of their existence. In conclusion: I am not at all convinced that the authors have uncovered evidence of Neanderthal admixture in Eurasians; the alternative explanation is that modern humans and Neandertals were related, modern humans spread from East Africa/West Asia and as they entered deeper into Africa, they interacted with archaic human populations there. We thus identified regions in which there is considerably more diversity outside Africa than inside Africa, as might be expected in regions that have experienced gene flow from Neandertals to non-Africans. We used 1,263,750 Perlegen Class A SNPs, identified in individuals of diverse ancestry (78), and found 13 candidate regions of Neandertal ancestry (SOM Text 17). A prediction of Neandertal-to-modern human gene flow is that DNA sequences that entered the human gene pool from Neandertals will tend to match Neandertal more often than their frequency in the present-day human population. To test this prediction, we identified 166 "tag SNPs" that separate 12 of the haplotype clades in non-Africans (OOA) from the cosmopolitan haplotype clades shared between Africans and non-Africans (COS) and for which we had data from the Neandertals. Overall, the Neandertals match the deep clade unique to non- Africans at 133 of the 166 tag SNPs, and 10 of the 12 regions where tag SNPs occur show an excess of OOA over COS sites. Given that the OOA alleles occur at a frequency of much less than 50% in non-Africans (average of 13%, and all less than 30%) (Table 5), the fact that the candidate regions match the Neandertals in 10 of 12 cases (P = 0.019) suggests that they largely derive from Neandertals. The proportion of matches is also larger than can be explained by contamination, even if all Neandertal data were composed of present-day non-African DNA (P = 0.0025) (SOM Text 17). The problem with the above analysis is in the underlined portion. The deep clade is rather unique to non-Americans of African ancestry, as per reference (78), i.e., a very limited sample of Africans. In short, there is no reason to believe that the identified deep clades matching the Neandertals are really unique to non-Africans, and the pattern can be easily explained by geographical structure within Africa itself. Related: for a contrary view see John Hawks. Whether their model is more parsimonious than Scenario 4 is up to the reader. We know that there is population structure in Africa today, and as the authors note there are reasons why this ought to have been true in the past. So, while Scenario 4 makes up a reasonable xtra assumption (the one I describe in my post), the authors' favored scenario does not explain easily how a species that inhabited Western Eurasia (Neandertals) ended up contributing not-too different amounts of DNA to Europeans and Chinese. So, for the time being, I'm sticking to my guns and saying that the paper has uncovered something important, but probably not Neandertal admixture. Richard E. Green et al.